Imagine you’ve just turned 16 years of age, you’ve just got your provisional motorcycle licence, you’re the proud owner of a buzzy little 1979 50cc Fantic two-stroke and you’re raring to go. 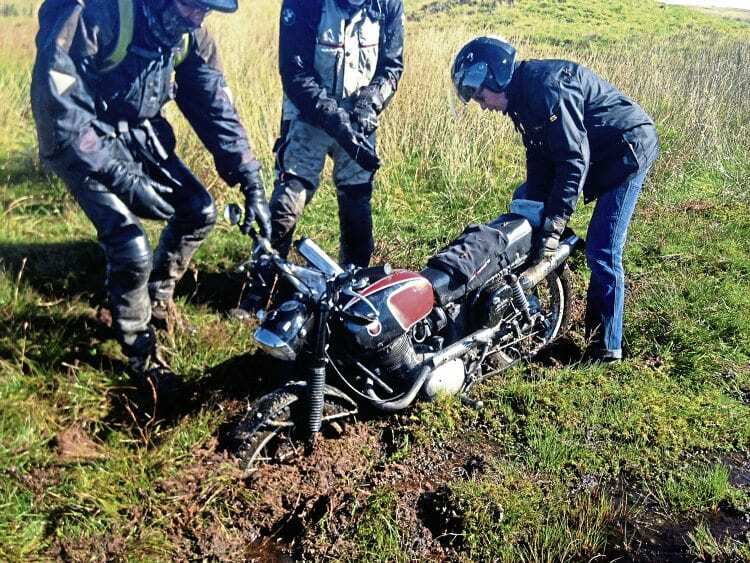 It’s that sinking feeling as a rare and beautiful Gilera gets caught in a bog during this year’s Beamish Trophy Trial. Photos by Phil Model. Or you’re a lady rider who just loves bombing about on your 200cc Triumph Tiger Cub. There again, you might be more than 65 years young, a veteran of decades of off-road competition, who still enjoys your plonking 500cc Ariel trials bike. You might even be one of that special breed who just love scampering about on old sidecar outfits – the older the better in fact – or you might be in your eighties, and after all this time the lure of riding old motorbikes is as strong as ever and you just want to be out there enjoying yourself with like-minded folk on all sorts of machinery, from genuine 1920s trials irons to the late 1970s, and the best offerings from Europe and the Far East.